"This is a wonderful album, not only eclectic and fun but a real musical education. Bravo, Amici!" "... makes an eloquent case for a wide range of pieces that bridge the cultural and religious divides of easternmost Europe and the Middle East ... thanks to powerful performances, all 10 pieces beckon enticingly." "... a wide range of pieces make up the passionately played program of this superb recording. The performance of these dances is highly spirited and showcases the artistry and virtuosity of the core ensemble.The string playing is rhapsodic and committed and the whole disc exudes polish and thoughtful musicianship." 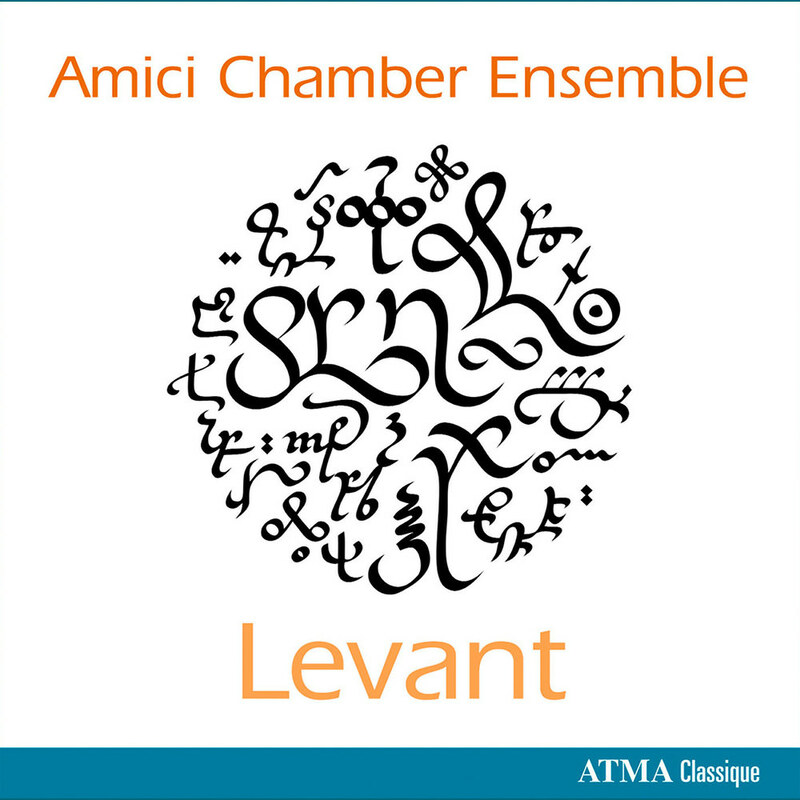 The fascinating and mystifying sounds and colours of Levant, the “region of the rising Sun,” are the focus of this Juno Award-winning recording by the Amici Ensemble. With music inspired by the Near East, the journey starts in the Balkans, moves into Israel, the Arabian Peninsula and up to the Caucasus mountains and features an eclectic selection of works by Prokofiev, Gurdjieff, Golijov and Abou-Khalil, among others.